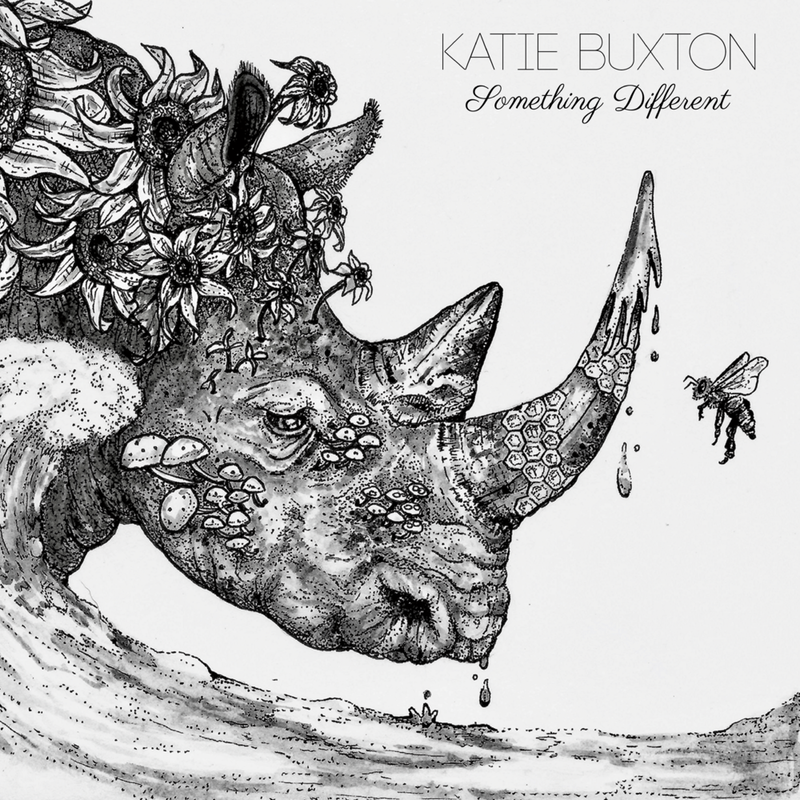 I chose a rhino for the cover of this album for one main reason - rhinos are unique in the way that they hold this quiet power - they're never depicted as aggressive or predatory, yet they hold this sense of strength and power simply by being and existing as they are. That is what this album is for me, and it is so much of what I stand for. This album is me speaking my truth. It's unfiltered, honest, vulnerable, and full of why's - why does it take losing everything to start a revolution? Why do people give their attention to those who have pretty Instagram photos but nothing to say? Why do we treat life as something to be taken seriously, when we're all really just dying in different ways? It is me questioning and calling for positive change and standing rooted in all that I am and know to be true, and I hope that it can inspire others to do the same. First and foremost, I need to say a huge thank you to Sean Rogers and Jason Schmidt for not only producing and helping me create this album, but for believing in me more than almost anyone. Watching you both throw yourselves into the project simply because you were passionate about it was the greatest honor. Thank you Daniel Johnston as well for all your help and support during the recording process. Thank you Sal Oliveri for turning “You Flew” into a masterpiece and James Vrettos for helping me make “Painted Hearts” real, and Luke Gilfeather for initially mastering them both. Huge thank you to Brysson Rockwell of Bulwark Mastering for putting the finishing touches on the album and making the final product so beautiful. Thank you to all the musicians who blessed this project - Roy Agee, Evan Cobb, Jon-Paul Frappier, Gideon Klein, Laura Epling, Forrest Finn, and Mark Vinceguerra. Thank you to Bethany Rogers for helping me document the making of this album through your beautiful photos. Big thank you to Marissa Quinn for the mindblowing cover art and making my vision a reality. Huge thank you to everyone who contributed to my crowdfunding campaign to fund the album costs, including Kim Hawkins and the Hawkins family, Lucy Buxton, Jeff Buxton, James Startzell, Danny Durazzo, Martha Jameson, Sarah Morrison, Helen Jameson, Edward Sutton, Jodi Marr, Lewis Loh, Mary Sweeney, Jim Gutekunst, Keegan Neverett, Debbie Ives, David Thornton, Vicki Abens, Sam Crawford, and Jean and Colleen Wilson. Thank you Joey Brodnax for always being so generous with your time and helping me with video and design, among other things. Thank you to Matt Scherer, Brandon Day, and Jon Delange at Tinderbox Music and Charlotte Gomes at Project Light Agency for help with promo and getting my music out into the world. Thank you Jonny Carroll for helping me with booking so that I could put more of my energy into this project, and for introducing me to life on the road. Thank you Gavin for delivering the message from my guides back in October that gave me the strength and validation I needed to make this album and stand rooted in my truth. I still hear it in my head all the time. Huge, huge thank you to Amy Hart for seeing something in me from the very beginning and being so dedicated and passionate about making my dreams a reality. You are the biggest blessing and I have an overwhelming amount of gratitude for all of your help and encouragement. Thank you to every person in my life who holds me up and surrounds me with love, support, and encouragement to dream even bigger - there are so many of you. Thank you Hunter for so, so much. And finally, thank you mom for being just as excited about my path as I am, and always embracing every part of me with every part of you.